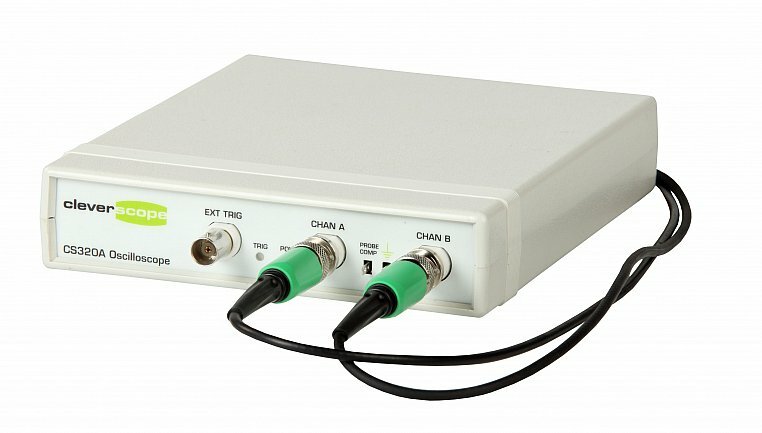 USB 2.0 oscilloscope, 12 bit, 100 MSa/s, 2 analog channels, External Trigger, 4M samples storage for each of the two analog and external trigger channels, comes with CS300 application software and 2 x CS1001 probe set. Two 12 or 14 bit analog channels sampling simultaneously at 100 MSa/sec. AC or DC coupled.